BBC1 is a British TV channel with 1,187 programs to watch online. That's more than 13,804 hours of playtime! Recent popular programs include EastEnders, The One Show, Match of the Day, Trust Me and Casualty. Catch Up on EastEnders and watch online. Missed an episode of EastEnders, broadcast by ? Catch Up on The One Show and watch online. Missed an episode of The One Show, broadcast by ? Catch Up on Match of the Day and watch online. Missed an episode of Match of the Day, broadcast by ? 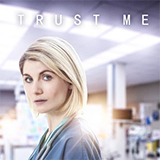 Catch Up on Trust Me and watch online. Missed an episode of Trust Me, broadcast by ? Catch Up on Casualty and watch online. Missed an episode of Casualty, broadcast by ? Catch Up on Holby City and watch online. Missed an episode of Holby City, broadcast by ? Catch Up on Countryfile and watch online. Missed an episode of Countryfile, broadcast by ? Catch Up on Homes Under the Hammer and watch online. Catch Up on Escape to the Country and watch online. Catch Up on Bargain Hunt and watch online. Missed an episode of Bargain Hunt, broadcast by ? Catch Up on Doctors and watch online. Missed an episode of Doctors, broadcast by ? Catch Up on Jack The Ripper - The Case Reopened and watch online. Britain’s Most Wanted Motorbike Gangs? London's Knife Wars: What's The Solution? Luisa Omielan's What Would Beyonce Do?! Miranda Barbour: Serial Killer Or Liar? Paxman in Brussels: Who Really Rules Us? The Andrew Neil Interviews: Leave or Remain?